Nathaniel Perry is the author of Nine Acres (APR/Copper Canyon, 2011), which won the 2011 American Poetry Review/Honickman First Book Prize. 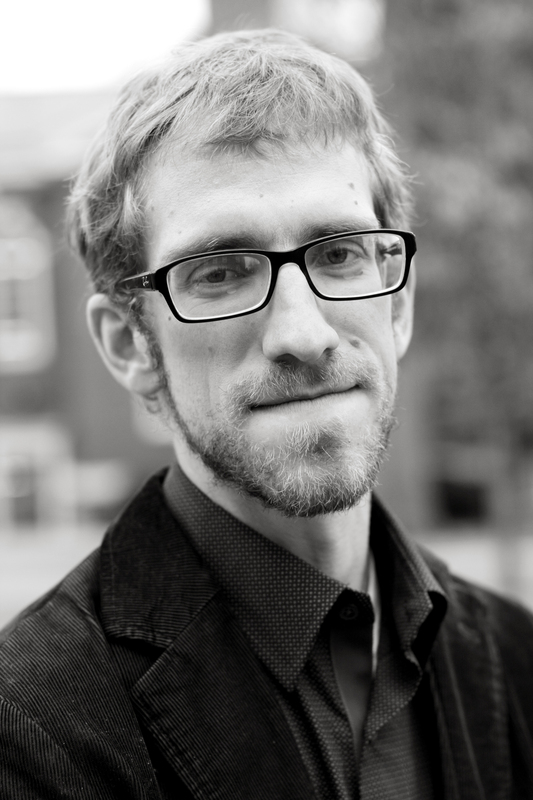 He is the editor of the Hampden-Sydney Poetry Review and lives with his family in rural southside Virginia. Natasha Stagg: Tell us about the Hampden-Sydney Poetry Review. Nathaniel Perry: I took over three years ago when I came to teach at Hampden-Sydney College in rural southside Virginia. The journal, though, is quite old – one of the older poetry journals in the country. It was begun in the mid-seventies, and though it was a small-run handmade affair at the beginning, it published really strong writers: William Stafford, Louis Simpson, Josephine Jacobsen, and others. It was edited by the same brave man for all those thirty plus years and had sort of slipped under the radar of the poetry world by the time I came along. So my job here as editor is to stay true to the long tradition of the journal, but to try to bring it to a wider audience. I have redesigned the book a bit (it is a little larger, full-color cover, etc.) and I am making an effort to bring widely known writers back into its pages, alongside, of course, exciting new talent. Recent issues have included work from John Haines, Lisa Jarnot, John Burnside, Maurice Manning, Carol Frost, Robert Wrigley, and others. The HSPR is an annual, and subscriptions, for those interested, are $12 for two years, $18 for three, and $7 for a single issue. NP: I was born in Atlanta, GA, but have lived in various places as an adult – Rhode Island, London, Indiana, to name a few. I currently live out in the country in Cumberland County Virginia, outside Farmville. We live on ten acres and have only one (excellent) neighbor anywhere nearby. But our two kids (one and three) cause enough trouble for a whole neighborhood anyway. NP: Well, the magazine is small by any standard. But culture happens usually in small places, and then everyone else finds out about it later. I think it is that spirit that keeps any literary magazine going, and it certainly does for me. If all of publishing was large and profit-minded, there is a lot of excellent work that wouldn’t get published. Like most poetry, for instance. We are not here to keep poetry from dying, mind you, poetry will, like water, always find a way to rise and settle, but we provide, I hope, an attractive watercourse. NP: We publish what we hope are excellent poems, so that is not unusual (there are a number of wonderful poetry journals out there). But when I began editing the HSPR, I started a feature called 4×4 which runs in each year’s issue. It is a kind of hybrid of essay and interview which features four of a single issue’s contributors answering the same four questions. The idea is that the spaces between the answers might be as illuminating as the responses themselves. To my knowledge, no other journal runs anything quite like it (I hope!). NP: I think that anthologies and journals serve entirely different purposes, if by anthologies you mean the countless parade of books like ‘Tie me down: Poems about Flyfishing,’ or ‘Quartz Grains, Rose and Amethyst: Two-thousand American Poets Reflect on the Joys of Rock Collecting” or “You Have To Be Kidding Me: Poets Writing Poems about Anthologies’ – those, of course, aren’t real books, but sometimes when I see those kinds of things I wonder who the audience is. Literary journals, I think, have to operate under the assumption that their audience is a general one. There was a time, at least, when that might have been true. If you begin aiming a journal at only pre-ordained poetry readers, or even worse, poets, I think things can go downhill fast. So I see literary journals, in general, as just another magazine – no different than Field and Stream or Money, they just are about art. NP: We publish a wide array of things. I would say that maybe I don’t tend toward what would be termed ‘experimental’ work, but we’ve featured poems by Lisa Jarnot, D.A. Powell, and John Kinsella – all of whom have been labeled as such at times. So, as it says in our guidelines, our only real criterion is quality. Next years issue, as a sample, will include work from Sherman Alexie, Billy Collins, Dennis O’Driscoll, Connie Wanek and others. NP: The Hampden-Sydney Poetry Review seeks submissions of original poetry and poetry in translation. Our chief criterion is quality. While we have published the work of many well-known and well-published authors, we are as open to the new writer as to the established one. We are most certainly open to verse in both traditional meters and form, as well as to poems written in free-verse. Such poems, however, should not forget that they are written, indeed, in verse. Though by no means a regional journal, the Hampden-Sydney Poetry Review is especially interested in publishing the work of southern writers (define that as you will). There is no reading fee, and we read all year round, though response times might be a bit slow in the fall and early winter. NP: Well, a number of bears are endangered, and they are still pretty tough customers. So, I guess, I don’t know. It depends on readers, really, more than journals. I think journals do need to keep up with the shifting landscape of publishing as best they can. And I will say that it is VERY difficult to run a journal that does not have a source of regular funding. My hat goes off to those independent journals who operate on revenue (if they have that….) and donations alone. I worked for many years on the excellent journal Lyric, and money was the biggest, by far, problem. NP: I think for some journals that may be practical, but not for all, and not right now. I think ‘online only’ also has a subtext, which is ‘urban only.’ Where I live, for instance, there is not reliable high-speed internet in most of the county. So we run the risk of having, say, poems about living in the country only available to certain kinds of readers, who can’t actually imagine living there. Also, I think moving online is not always a cost saver. To do it well, you better have one or two excellent web-design folks or IT helpers to guide you along. Otherwise these things can look terrible, or be almost unreadable. NP: Only the funded will survive. And I can’t imagine saying that fewer publications are better than more. Whatever needs an audience, I hope, will find it. NP: I’ve never published books, so aside from seeing my own book moving through the publishing and production process, I don’t have much experience. I will say, though, that I have my doubts about e-readers. I don’t think they will be totally taking over from the print world anytime soon. A friend of mine published a book recently in which all of the poems were written in couplets of blank tetrameter. The form, needless to say, was a pretty important part of the book. The e-reader version, at least on the Kindle that I saw, did not reproduce the stanza-breaks in the poems at all! for the whole book…. So it seems to me that the e-readers are treating the content they display as something more or less disposable, something that just fills the screen. Until the care of presentation that so many wonderful publishers, large and small, put into their physical books is reproduced electronically, I’m not too worried. McDonalds and Walmart have tried, for instance, to kill food, but they haven’t managed it yet. Lots of people still grow their own potatoes. NP: Indeed I had. A good while ago, SR published perhaps the least characteristic poem of mine I have ever published, and I thank you for it. But I have followed the journal ever since, and it is a well-done journal of very high quality. Thanks for your hard work on an important journal and for sending along these thought provoking questions.